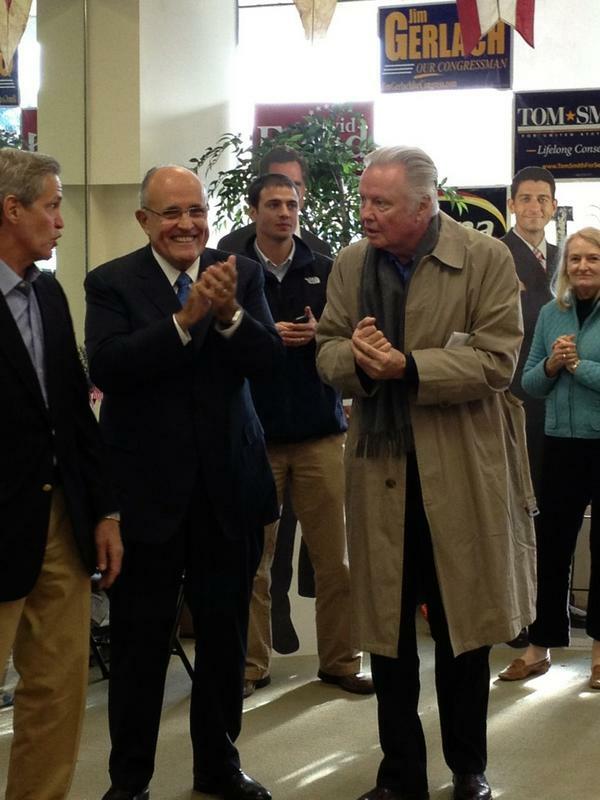 Jon Voight and Rudy Giuliani get out vote for Romney in Pa. The Dems sent philandering Bill Clinton and birth control entitlement warrior princess Sandra Fluke to rescue Pennsylvania for Barack Obama. The GOP sent national security hawk/former NYC mayor Rudy Giuliani and outspoken Hollywood conservative Jon Voight. We have more than an inkling about which duo has more appeal among the decisive “bitter clinger” vote, don’t you? 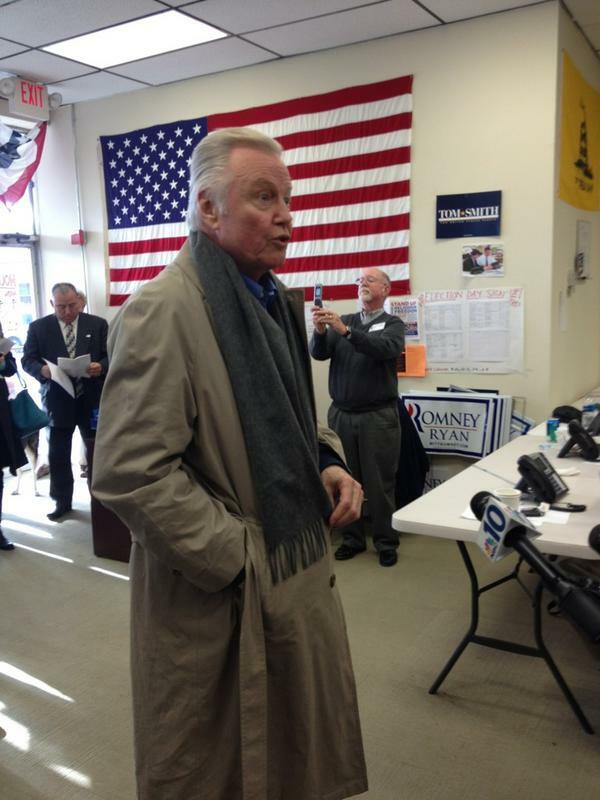 The only voter fraud I support is somehow changing Jon Voight's vote to a straight Dem ticket.